Whether it's a scooter or a bike, you can discover something pleasing to the eyes as you shop emblems online in USA. Since such items are made from high-quality plastic, you can leave behind those worries of maintaining the condition. Even when exposed to dry air, there are less chances of these getting rusted. zorratin Metal Trail Rated 4x4 Round Emblem Badge for Jeep Wrangler Unlimited JK Cherookee Rubicon ..
zorratin Full Black Metal Trail Rated 4x4 Round Emblem Badge Mountain for Jeep Wrangler Side Rear T..
Never Fade & Weather Proof & Self Adhesive.Material: Good Quality Metal.Diameter: 2.2"/ 56mm Feature..
zorratin Black Metal Cooper S coopers letter Emblem Badge Lettering for mini cooper Rear Trunk Lid ..
Never Fade & Weather Proof & Self Adhesive.Material: Good Quality Metal.Size: 6.69"*1.3"/ 17cm*3.3cm..
zorratin 2PCs(pair) 2015 2016 (latest) New Black Door Fender Side Emblem Badge Name Plate Name Plat..
Never Fade & Weather Proof & Self Adhesive.Material:ABS Plastic.5.5"x1.5" / 138*35mm Features : 2 pi.. Yoaoo?? 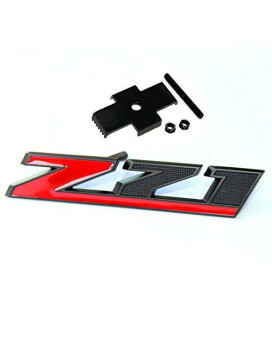 OEM Matt Black Red Grille Z71 Emblem Badge for GMC Chevy Silverado 1500 2500HD Sierra Tahoe..
Z71 Emblems Badge for GMC Chevy Silverado 2500HD Sierra Tahoe Suburban Features : package include 1 .. Yoaoo?? 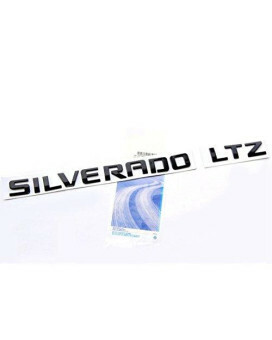 OEM Black Silverado LTZ Emblem Nameplate Letter Badge Alloy Original Silverado Chevrolet Gl.. Features *100% brand 3D new and good quality *Made with high quality of Alloy material. *100% weat.. Yoaoo?? 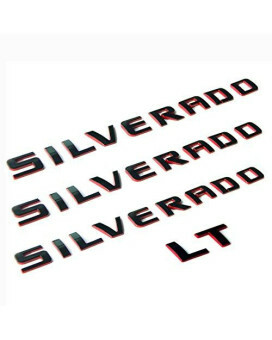 3pcs OEM Black Silverado Nameplate Letter Alloy Emblems Badge 2011-2015 Original Silverado ..
Glossy Black Silverado Nameplate Letter Alloy Emblems Badge 1500 2500HD 3500HD Original Silverado Ch.. Yoaoo?? 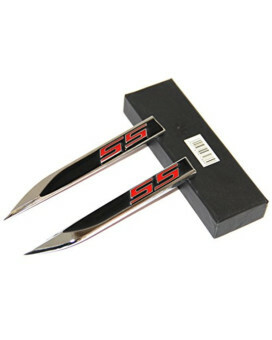 2x OEM Grand Cherokee Altitude Emblems Letter Alloy Nameplate Set Emblems SRT Jeep Badge Ne..
Fecture: *Condition: 100% Brand New *Made with high quality of Chrome metal material. *Size:OEM size.. Yoaoo?? 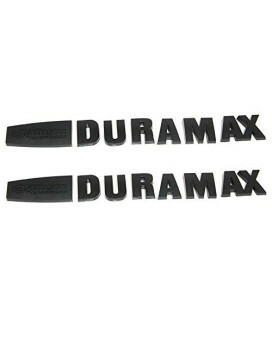 2x OEM Black Silverado Nameplate Letter Alloy Emblems Badge 2011-2015 Original Silverado Ch.. Yoaoo?? 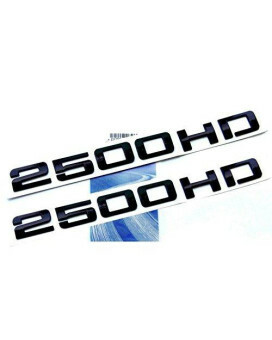 2pcs OEM Black 2500HD 2500 HD Nameplates Emblems Badges Alloy Glossy for Gm Silverado Sierr.. Yoaoo?? 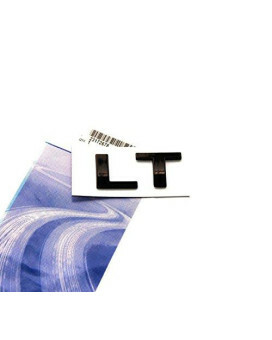 1x OEM Black LT Letter Nameplate Emblem Badge 2008-2015 Chevrolet Cruze Silverado Yukon Sie.. 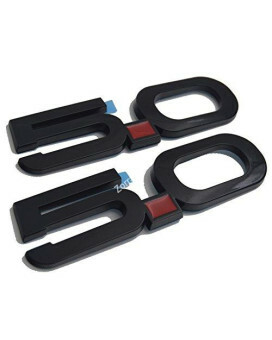 Features *100% brand 3D new and good quality *Made with high quality of Black Alloy material. *100.. Yoaoo?? 1 Piece OEM 8.5 Inch Big Trailhawk Emblem Trail Nameplate Badge for Jeep SRT Grand Cherokee.. Features *100% brand 3D new and good quality *Made with high quality of Alloy material. *100% wea..
Yoaoo-oem® 2pcs New Chrome Hemi 5.7l Liter Emblem Badge Sticker for Dodge Jeep Ford Jaguar 2009-20..
Yoaoo-oem® 2PCS New Chrome Hemi 5.7L Liter Emblem Badge Sticker for Dodge Jeep Ford Jaguar 20.. Yoaoo-oem?? 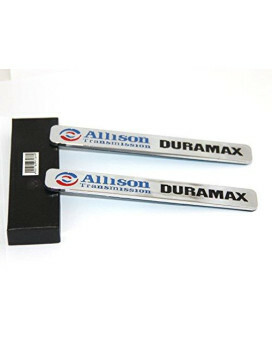 2pcs Autotuning OEM Allison Transmission Duramax Emblem 2500hd for Gm Chevrolet Silvera.. Features *100% brand 3D new and good quality *Made with high quality of Chrome ABS material. 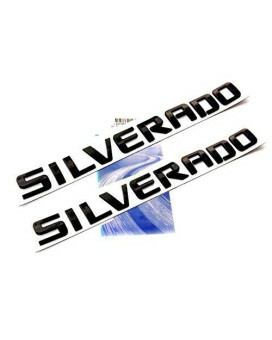 *Size..
Yoaoo-oem 2pcs OEM Chrome Ss Emblems Blade Sticker 3d Logo for Camaro Chevrolet Gm Series (2Pcs Bla..
Yoaoo-oem® 2PCS OEM Chrome Ss Emblems Blade Sticker 3D Logo for Camaro Chevrolet Gm Series (2PCS Bla..
Yoaoo-oem 2pcs Autotuning OEM Allison Transmission Duramax Emblem 2500hd for Gm Chevrolet Silverado..
Yoaoo-oem® 2PCS Autotuning OEM Allison Transmission Duramax Emblem 2500HD for Gm Chevrolet Silverado..
Yoaoo-oem® 1X OEM Chrome SS Emblem Badge Sticker 3D Logo for Camaro Chevrolet Gm Series (1X BLACK1)C..
TAHOE LT Nameplate Emblems Letter Badge Alloy 3D for Gm TAHOE Chevrolet Features : package include a..
Yoaoo 3pcs OEM Silverado Nameplate Plus LT Letter Emblems 3D Badge 1500 2500HD 3500HD Original Silv..
3x Silverado Nameplate Plus LT Letter Emblems 3D Badge 1500 2500HD 3500HD Original Silverado series ..
100% brand new and good quality Made with high quality of Alloy material. Please clean the target su..